The 2018 MTBA Downhill National Season is ready to drop. This season there are TWO old school courses making a return to the national circuit - Mt Coramba, Coffs Harbour and Narbethong in Victoria along with one of Australia's real gems, Awaba. 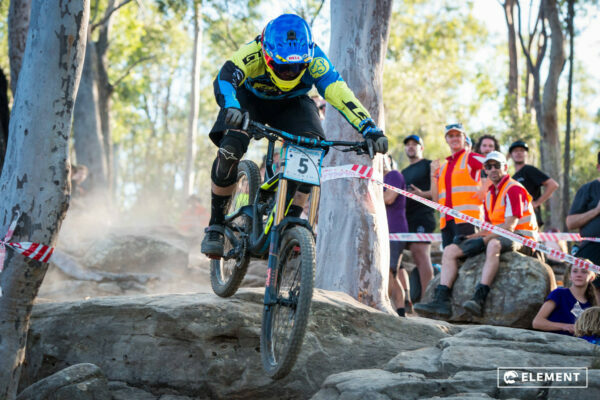 Riders will also make a pilgrim back to Mystic Mountain in Bright, VIC for the 2018 MTBA Downhill National Championships. You can enter below by clicking on the event icon. In the heady 90's this track was renowned as one of the best in the country. You will need your brain working to negotiate the drops and natural obstacles if you want to stop the clock fastest. It's been hailed as world class by some of Australia's most experienced international riders. If you like a serious rock garden and a thrilling run, this is one track you don't want to miss out on riding. Off camber, pine forest, always changing and always amazing. It's brought out some of the most memorable championship rides in recent MTBA history. This course crowns the best in the country. The Victorians love this venue for its length and speed but don't dismiss the technical traits which can catch you out. Round out the season with some downhill fun. Not riding? Don't worry, why not grab a few mates and volunteer at any of the four rounds? There are plenty of positions available where you can witness world class downhillers and get plenty of goodies to take away. Follow the links on the event page above to register. The National Junior Travel Program for the 2017-2018 DHI National Season is open. For full details please download the information sheet HERE.